I GRADUATED from my Level 1 Acting Class today! I really had so much fun in this class, from the never ending treats to the KILLER BEE! We didn't cover anything new today, but Georgina gave us an assignment. She wanted us to come up with a little routine covering 5 or 6 things that we could do for her to film it. 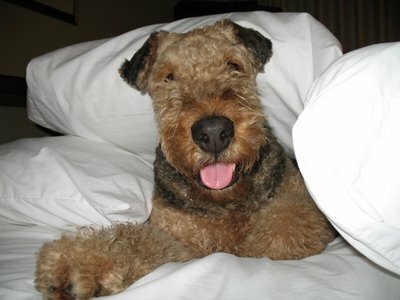 Georgina said it is very important for us to be comfortable around cameras (LOL tell that to a blogging dog!) and all the different "TAKES" that might be necessary if we were to really work on a film. So mum scrambled up a little routine for me, which consisted of "Look", "Wave", "Wave" with the other hand, go to "MARK", "Speak" on mark, "Tilt head" on mark, "Turn right", then back to "MARK", and we ended with a dramatic "BANG!!" where I fell promptly to the ground with a little groan, and performed a convincing dead-dog in front of the camera. I made mum very proud because I performed my routine to perfection. Georgina recorded all that in "1" TAKE only!! The video will be available on www.Dogstars.ca shortly under my profile. There will be a Level 2 Acting Class sometime in November, and mum is considering signing me up for it again. However, I told mum that we should work on some of the things covered in Level 1 before thinking about Level 2. I'm such a sensible girl!! After class, mum took me for a short on-leash stroll around the block and we drove off in SunshadeMOBILE . I thought we were headed to the beach like we usually do, but mum just kept on driving and driving, in the wrong direction I might add. So I put 2 & 2 together, the bags in the car, my bowls, my water bottle, my supplements, plus the long driving = meant we were going somewhere. Mum finally stopped at the border and I realized we were going to Seattle, WA!! She said we were going to see some family friends over in Bellevue. The customs inspector looked very sad, but he was very nice to us. 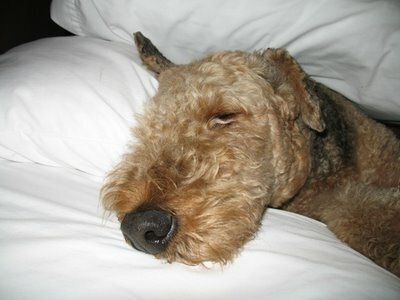 He told mum and me that he had just lost his almost 12 year old doggie and he was missing her a lot. I was a little sad to see him looking so lost, so even though I am usually very *aloof* to strangers, I tried my best to cheer him up. I stuck my head way out the window to get his attention. He saw me and smiled! However, no matter how hard I tried to convince him that I didn't carry rabies and it was ok to pet me, he never did, even though he looked like he really wanted to. Then he said to me, "I wish I could hug you, but I'm not allowed.....". We continued our drive towards Seattle, but of course, mum had to go to the "Seattle Premium Outlets" to meet up with friends (since SunshadeMOBILE isn't suited for people...). Well, they didn't just "meet up", they went shopping and left me to pout all by myself!!! Why was I so tired? Well I was required to stay awake the entire time to make sure my sometimes not so smart mum didn't drive us to Alaska or the Yukon instead. You have to know, my mum's sense of direction is beyond horrible! She has gotten us lost in the forest for I don't know how many times, and if it weren't for me (told me to "go find your CAR"), she would still be in the forest today!! sunshade, have fun while in seattle. make sure your mom take tons of photos for us envy doggie to see too! 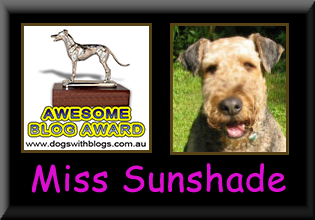 sunshade, i've already voted for you in the Awesome Blog Award! How can you not win? Hey Sunshade, Tag; you are it! A whole new tag game has started. Check out my blog & see what's the "topic" this time around. Oh, BTW, congratulations on your graduation. thanks for voting for me! it was my first precious vote! i'm glad i'm no more stuck with that big fat zero next to my name now. whew! and I'VE VOTED FOR YOU under the awesome blogs category too! i see you are already leading, press on! you look absolutely fabulous in pink! i'm glad that fleece jumper finally made its way to you. those shots of you holding your little parcel are amazing too! mom weighed me over the weekend and said something like fei fei, xiao zhu, and jian fei. do you think they mean my weight in mandarin? congratulations on graduation, sunshade! :) i bet you made your mum and your instructor really proud of you! :) i'll be checking for your video to come out.. I think my Mommy's you-man name is Elaine, too. Has she been sneaking over to Vancouver to be with you? I voted for your blog!!!!!!!!!!!!!!!!! 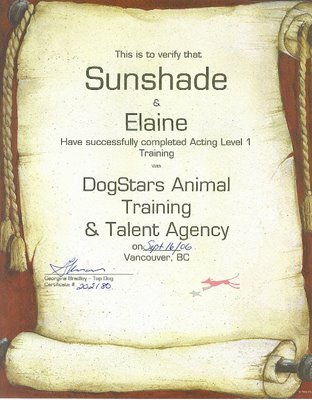 congratulations sunshade! mom is still taking me to class, but everyone makes a fuss over me - so i don't mind.